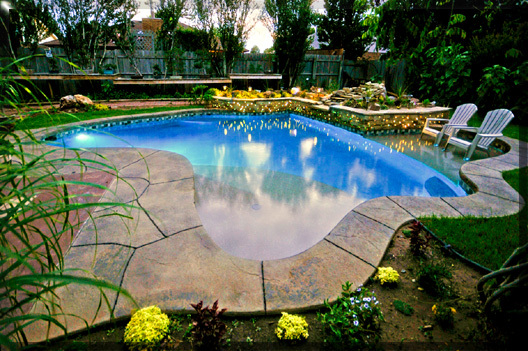 Custom Pool Design and Construction Done by Professionals with Decades of Experience. 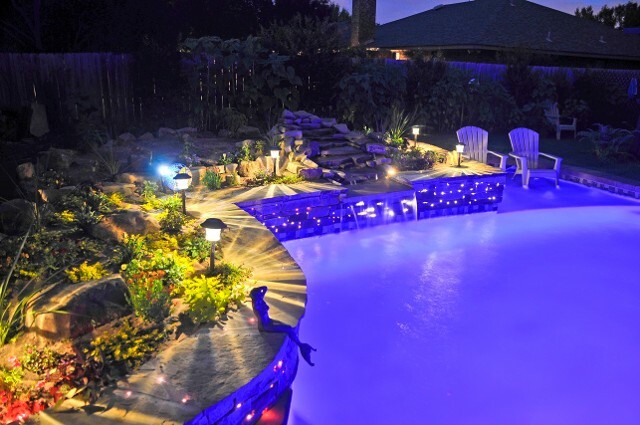 Below are a couple of photos of our "Show Pool", call and come see for yourself! Notice how the L.E.D. 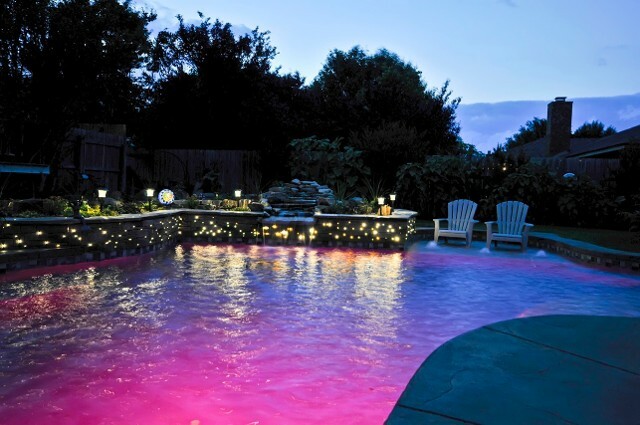 lighting makes the whole pool "Glow"! And what about the "Fiber Optic" lighting in the raised stone wall? 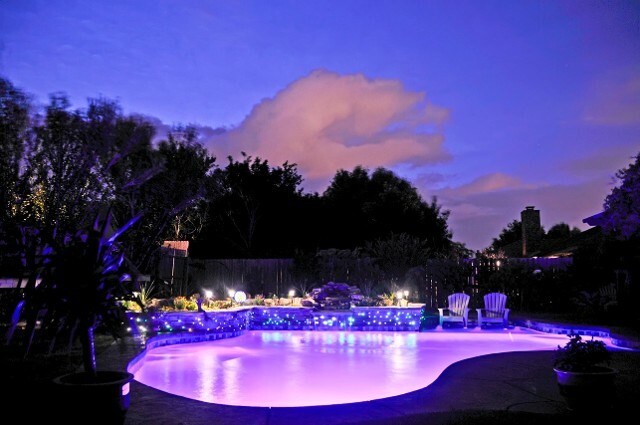 Below is our "show pool", call for a twilight viewing. Click the icon below for information on GoldLine chlorine generators. 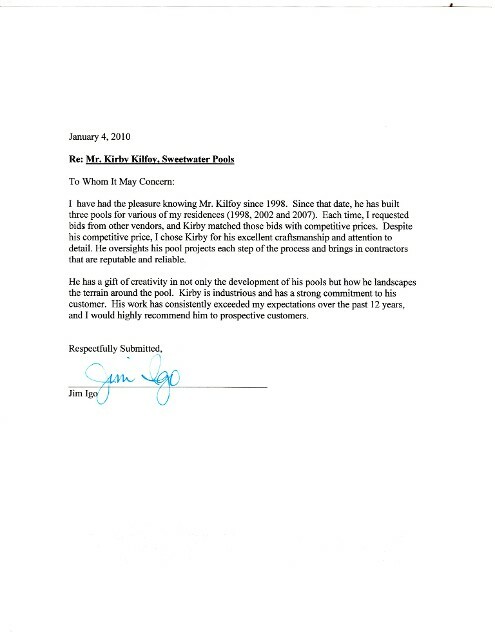 Below is a letter of recomadation from a repeat customer. We built 3 pools for this family!! !